Bloomex - Order Flowers Quickly and Securely for Canada Delivery :: Order from a Trusted Canadian Online Florist - Win FREE MOVIE PASSES! Great news! Bloomex is proud to partner with Elevation Pictures in helping to promote the heartwarming new film I'll See You in my Dreams! As a result of our support, we are pleased to offer you a chance to win FREE MOVIE PASSES! 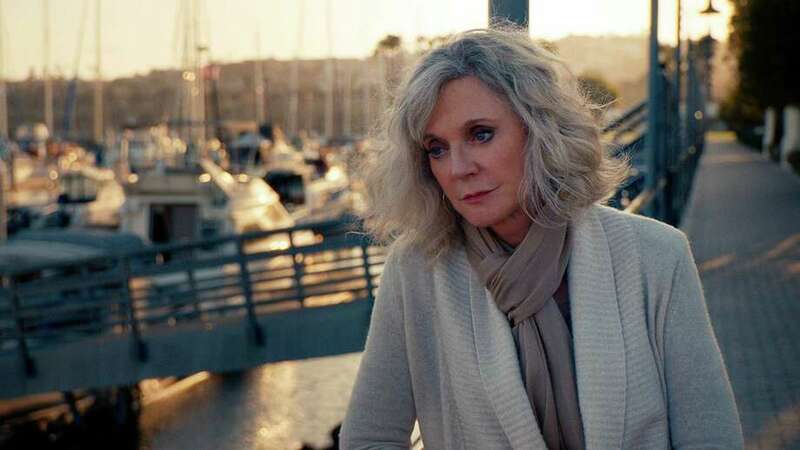 This brand new romantic dramedy is coming to Canada soon and stars major Hollywood talent Blythe Danner (from movies such as Meet the Parents, Little Fockers,The Prince of Tides, and Brighton Beach Memoirs). Blythe is also otherwise known as Gwyneth Paltrow's Mom! Rhea Perlman (from Cheers and other hit comedies) and Sam Elliott (The Hulk, The Golden Compass, Ghost Rider, Draft Day, and more) also star in the film. The movie is vibrant, funny and heartfelt. Danner plays a widow named Carol, a former songstress who learns that life can begin anew at any age. With the support of three loyal girlfriends (June Squibb, Rhea Perlman, and Mary Kay Place), Carol decides to embrace the world again. She begins an unlikely but supportive friendship with her pool maintenance man (Martin Starr), pursues a new love interest (with the rugged and dashing Sam Elliott), and reconnects with her daughter (played superbly by Malin Akerman, of movies such as Couples Retreat, The Watchmen, The Proposal, and the television series Trophy Wife). Critics are loving this movie...Check out a review to learn more! View the Trailer for your own sneak peak! The tickets are on us! You could WIN YOURSELF A FREE PASS (each pass will admit two people) just by entering— makes a perfect Date Night or Girls Night Out! 1. The advance screening, Thursday May 28, 7 p.m.
2. The main movie release (Run-of-Engagement Passes), running from May 29 in Toronto and Vancouver, and from June 5 in Calgary, Winnipeg, Ottawa, Montreal and Halifax. DON'T WAIT: Enter to Win now! 1. Be sure to tell us WHICH CITY you are in, and if you want the ADVANCE SCREENING or the MAIN RELEASE passes. Main Release passes are good for use at any movie time at participating theatres in designated cities (Toronto, Vancouver, Calgary, Ottawa, Winnipeg, Montreal, Halifax). Advance screenings are in Toronto and Vancouver only, as listed above. 2. Contest open to residents of Canada who can use the passes in the cities listed. 3. Winners will be randomly selected from the pool of contest entries. There are 10 advance passes available for Toronto and 10 for Vancouver. There are 5 Main Release passes available for each of the major cities as listed. 3. Advance screening passes will be emailed to you, so you can print and bring on May 28. Main release passes will be mailed to you. Have fun! We hope you enjoy "I'll See You in My Dreams" as much as we do!